Reliable document translation services are critical to your success as a technical documentation manager, marketing director, or product engineer for a company with international reach. Poor quality translations or missed deadlines can mean delayed product launches or lost profit. International Language Services understands your concerns, your time constraints, and your need to focus on all of your responsibilities, without having to worry about the details of managing projects. Our goal is to handle every project in a way that ensures the results you need and lets you get on with your other work. Every translation should communicate as accurately and effectively as your original document and be free of errors that can cloud communication or damage your reputation.  ISO 9001:2015 certification provides independent third-party verification that quality processes are in place and diligently followed, for each project, to ensure your intended results. Using the latest technology helps keep translation costs within your budget, without sacrificing quality. ILS recognizes the value of a well-managed translation project. Only native-speaking translators, experienced in your industry, supervised by expert project managers under a documented, verified quality process, can guarantee you consistent, accurate translations that speak to your target audience. Your schedule is critical. From initial contact to delivery of completed projects, responsiveness that meets your needs is a key to your satisfaction. A project manager is committed to maintaining project workflow through initial translation, editing, formatting, quality review, and on-time delivery. You shouldn’t have to drive the project yourself or worry about its progress at any time. You should expect communication throughout your project, keeping you informed of progress. Your document translation services provider should always be responsive to your requests and willing to go the extra mile for you. International Language Services. Translations That Mean Business. In 35+ years of providing technical translations to businesses, large and small, ILS has earned its reputation for excellence by helping clients achieve their goals. From marketing materials and instruction manuals to complex regulatory and patent documents, our dedication to quality, on-time document translations is your assurance that your project will communicate precisely, accurately, and effectively in any of the 180 languages we support. Our extensive network of native-speaking translators with strong experience in your industry, along with our expert project management and ISO 9001:2015 quality processes, enables you to confidently outsource your translation needs and focus on your other responsibilities.